The M18 76mm Gun Motor Carriage was developed for the US Army's Tank Destroyer Command. It was the only tank destroyer deployed during World War II actually based on their requirements for speed and firepower. 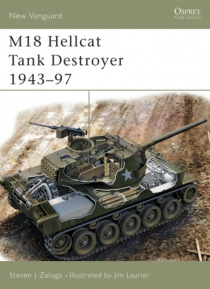 This book examines the development of this vehicle, the controversies over the need for high-speed tank destroyers, and its actual performance during World War II. Special emphasis is placed… on examining its performance in its intended mission. Coverage also includes derivative vehicles of the M18 such as the M39 armored utility vehicle.